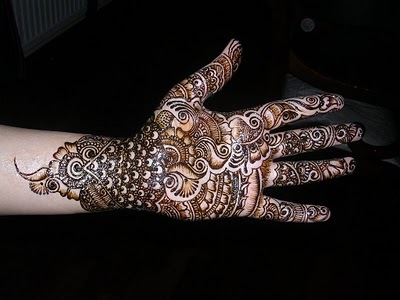 Mehndi is the application of henna as a temporary form of skin decoration in the Indian Subcontinent, as well as by expatriate communities from these areas. 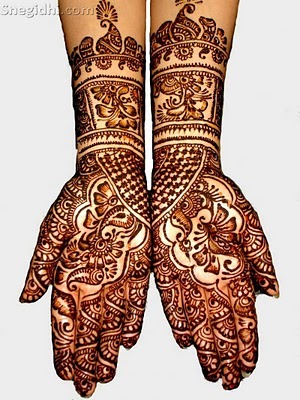 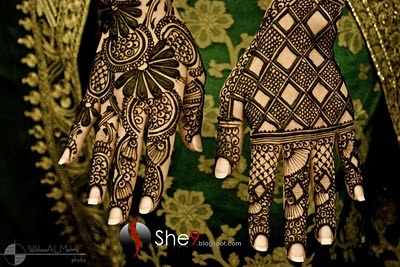 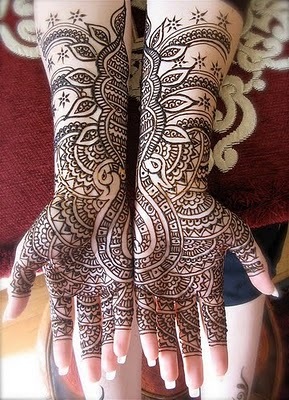 Mehendi a traditional art of designing the hands and feet is an integral part of Indian customs and functions. 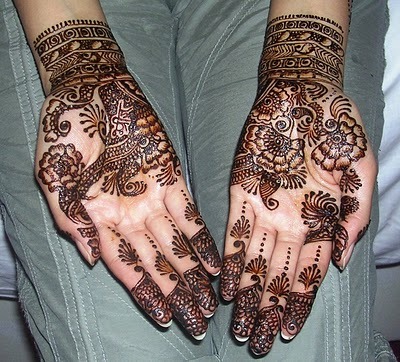 Mehndi is typically applied during special occasions like weddings and festivals like Diwali, Bhaidooj, Teej and Eid. 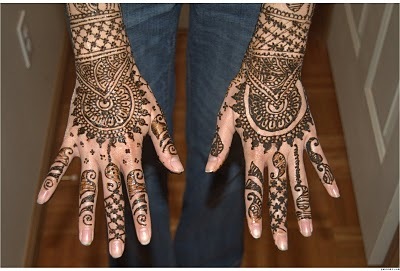 In some Hindu festivals every woman tries to have mehndi done on her hands and feet. 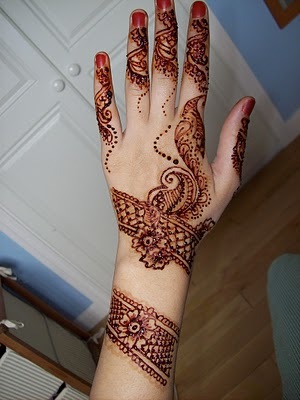 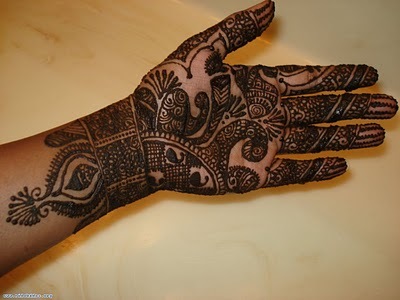 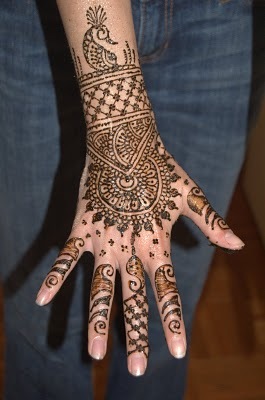 It is usually drawn on the palms and feet, where the color will be darkest because the skin contains higher levels of keratin which binds temporarily to lawsone, the colorant of henna. 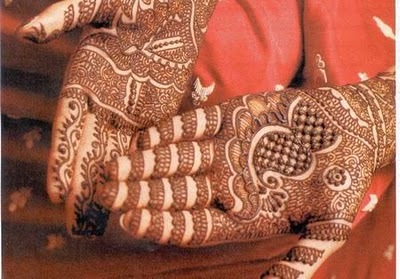 Mehndi was originally used as a form of decoration mainly for brides. 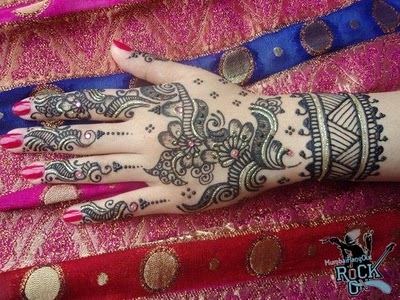 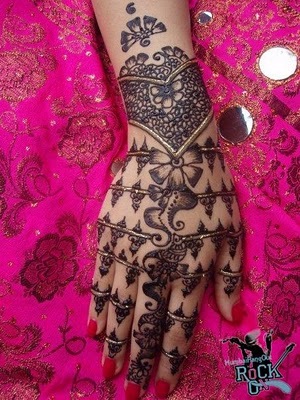 Below are mentioned few examples of Designer Mehndi, Bridal Mehndi, Arabic Mendi applied on palm, hand and feet.